Please add to this list as you're able, if this topic interests you. I'll commit to stop anything that I'm doing at the time to join you in silent prayer for any population that a concern is raised about. Trinidad, though blessed with natural resources, is currently experiencing a tearing of its land mass due to S. American plate tectonic activity, and in addition may subside as the sea level rises. Hopefully the current dramatic tearing will serve as a warning to the people of Trinidad that will alert them to move to safety in time, and may they be received with welcome wherever they do go. Also posting a photo from Wikipedia of a group of Trinidadians fishing. Adding the people of southeastern Peru to the list for prayer after Max's post today on the chasms opening up there. Summary from Max's link: The earth under the town of Lluto has experienced a landslide and the ground is cracking open, severely enough to warrant evacuating much of the population. Agriculture in the area is disrupted. Dozens of homes have disappeared into the ground, and schools in the area are near the location of the geological upheaval. Benefits of the area are its elevation (roughly 10,000 to 21,000 feet at its highest peak), which offsets its proximity to the coast. Other blessings are a hardy, sparse agrarian population and remoteness from urban areas, as well as a mild climate. May the people of this part of Peru find a way to relocate their community quickly to safer ground in a location or locations that will permit them to continue farming to the extent possible with upcoming earth changes. 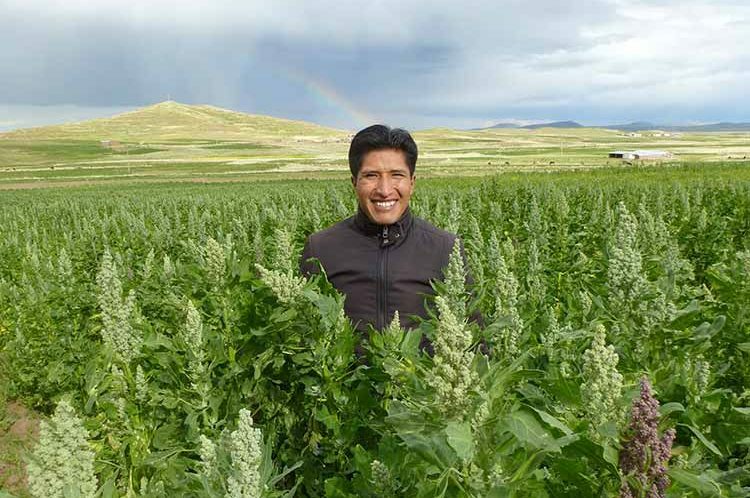 Posting photos from the area: Photo #1 is of a farmer standing in a field of the Incan crop Quinoa, which is farmed by a large cooperative of growers selling to the Quinola Mothergrain company. Photo #2 is of a woman wearing some of the beautiful knits made from local sheep and alpaca wool, and holding a bag of the cereal that she helped to produce. Very sad about the geological conditions there, but what an uplifting feeling to see the people with their crops and crafts, and I, too, am wishing them well, and much better times than they are having now. R.R. thank you so much for starting this Prayer Topic. Have mercy on all your children. 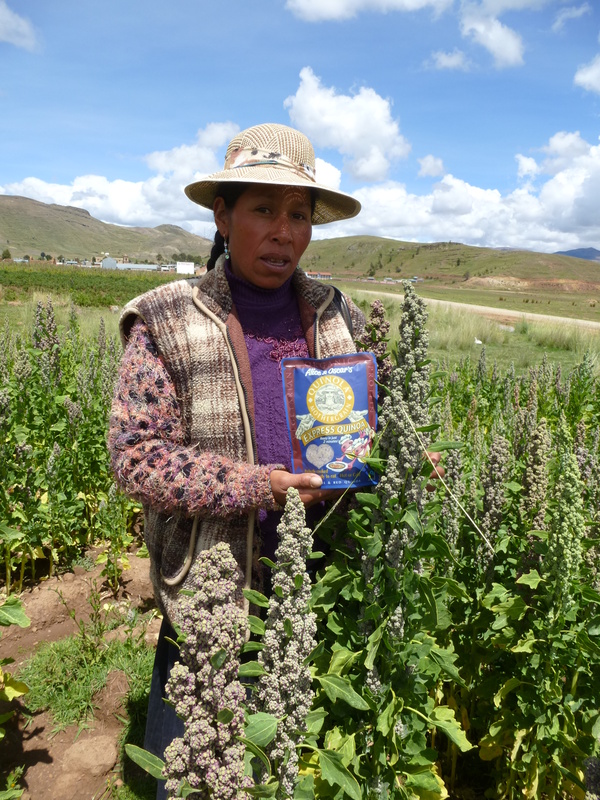 I should mention that one of the odd blessings in the Peruvian event is that the Quinola Mothergrain company actually owns many of the farms on which locals live and produce their grain, and they seem to be conscientious employers, having introduced partial electricity to the area (still no indoor plumbing according to their own website). So it might behoove the corporation to provide the means to relocate the affected communities and get the next crops planted as soon as possible. Adding Papua New Guinea to the prayer list in the wake of the most recent of a long string of large quakes there, reported today by Jim. There was virtually no time for New Guineans to catch their breath following a prior quake just last week, and The Weather Channel is reporting that the population is severely traumatized. Aid workers are having trouble getting aid where it is most badly needed, as road infrastructure is damaged. With the frequency and intensity of quakes, people are afraid to sleep inside their homes. Wikipedia describes PNG as one of the most diverse places in the world, with 852 languages spoken, but also one of the most rural, with only 18% of the population living in cities. It is unusual for its unexplored territory, indigenous people remote from contact with the world, and unknown species of plants and animals. Wiki says that 40% of the people live a completely self-sufficient cashless lifestyle. Even living primitively, they still have cohesive societies, traditional religion and elementary education for the children, though violence toward women needs to be addressed. All indigenous groups there are protected by the nation's constitution. The land is rich in minerals, with 97% of the territory being legally owned by native New Guineans and protected by law from being seized from them for any reason. 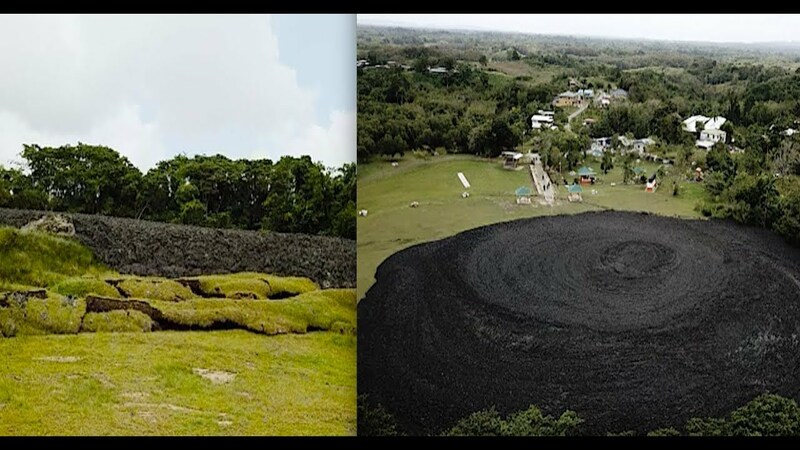 PNG is expected to rise in elevation during the pole shift, and if they can withstand earthquake pressures, may have temperate land in the Aftertime. May they be helped through this painful period of earth changes, with developed areas perhaps returning to a more traditional style of housing less likely to crush occupants in the wake of violent periods of seismic activity. In addition to the irony of an OPEC nation experiencing enforced blackouts, the people of Venezuela are presently suffering numerous other trials, largely caused or exacerbated by the present leadership which has enacted strict currency controls affecting trade, passed unconstitutional laws and used draconian means to enforce them, leaving the people malnourished and waiting in long lines for basic necessities. Shortages exist on essentials such as toilet paper. Even peaceful protests are met with violence by the government. In addition, the possibility exists that water will inundate coastal Venezuela during the same tectonic activity that is currently tearing the nearby islands of Trinidad and Tobago apart, yet it may be difficult for the Venezuelan people to find the energy to move themselves out of harm's way when they are so deficient in calories and repressed. May both urban dwelling and coastal Venezuelans be inspired to migrate inland, away from the cities, perhaps heading toward the Amazon Forest with its wealth of natural resources, or upward into the mid-latitude Andes where a mild temperate climate can be found. Indonesia is home to the world's 4th largest population, and one of the most diverse, representing hundreds of different ethnic groups similarly to PNG. Literally a national archipelago, Indonesia's population is spread out over just under 13,500 islands according to Wikipedia, which also reports that the country has around 130 active volcanoes. It is also one of the most earthquake-prone places on earth, with roughly a quarter million people killed in the 2004 tsunami and quake that registered a magnitude greater than 9, breaking all records for the longest earthquake duration on earth. This was followed by a 6.4 quake in 2006 that left around 5,700 dead, tens of thousands injured, and hundreds of thousands homeless. Total financial losses from just the latter event were estimated to be in the trillions of dollars. One of Indonesia's major assets also poses a great irony: its vast and sparsely populated rural territory with diverse flora and fauna, mostly undeveloped as populations are drawn instead into cities toward the western end of the archipelago. The 20th Century migration away from farms and toward urban manufacturing centers was a mixed blessing: it raised many of the poor upward out of poverty, but distanced them from their knowledge of self-sufficiency practices. Dire predictions exist that Indonesia overall will not fare well in the coming Earth changes, due to subduction of its most populous western islands. The wealthy classes are predicted by some to evacuate, leaving the poor to fend for themselves. May the less upwardly mobile people of Indonesia begin a reverse migration back toward the eastern islands, if not already present there, which offer both crop diversity and greater elevation above sea level. What a beautiful, scenic, soothing picture! Also, fascinating article! Narrator says around 10:00 that a volcano in Vanuatu has resumed erupting again, belching ash that is crushing houses, causing acid rain, and destroying crops and grazing pasture. He says that the people are at the point of starvation now. A Radio New Zealand news article, linked below, states that water supplies are ruined as well. The same volcano, the Manaro Voui, had also erupted in September of last year, causing the entire population of the island to be evacuated, before being allowed to return home again in October. The destruction of crops and water resources is especially worrying for Vanuatu, as these are both in short supply in the first place. Having a rocky terrain, the maximum amount of land devoted to farming is only 9%, and fresh water scarcity is an ongoing issue. 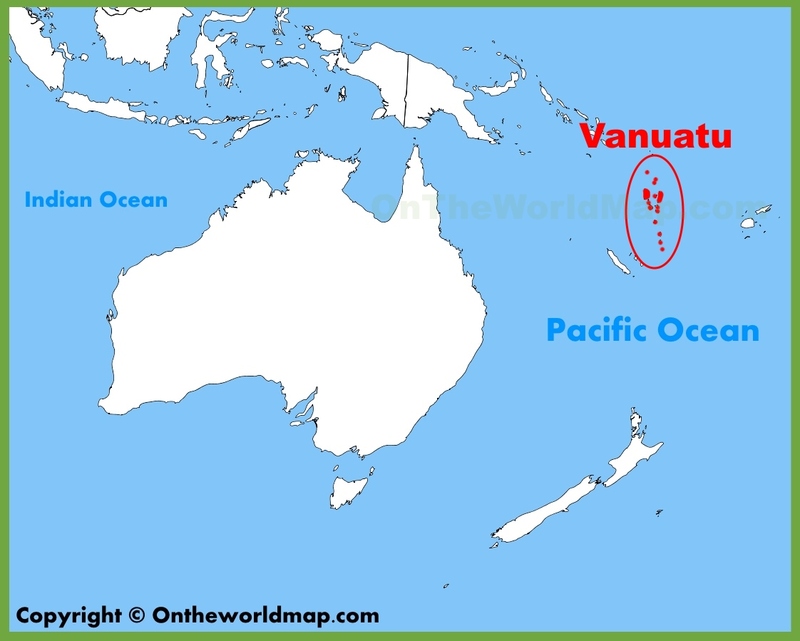 Vanuatu is located east of Australia, between New Zealand and Papua New Guinea. Named New Hebrides until its independence from France and the U.K. in 1980, it is a group of islands forming an archipelago similarly to Indonesia. Out of 82 islands, 65 are inhabited. Because the islands are isolated, only a dozen species of wild mammals exist and all of them rare bats, per the World Wildlife Fund ( https://www.worldwildlife.org/ecoregions/aa0126 ). However, it is a bird paradise, with nearly 80 species, including 30 that exist in no other place. Reptiles are also present, with crocodiles being hunted, and fish are a major dietary staple. 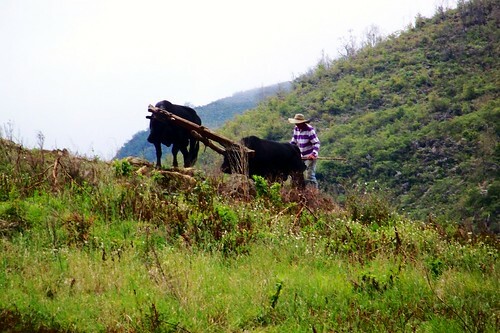 To offset lack of fauna, residents of the islands have turned to cattle ranching, as well as raising poultry. With its highest peak at over 6,000 meters, Vanuatu is situated among the fortunate crescent of islands expected to survive a future deluge. Other blessings are lush rainforests and abundant rain. 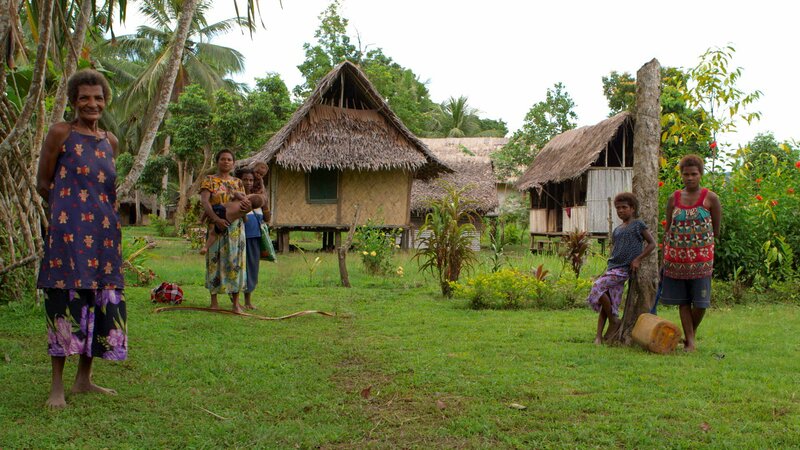 Isolation from most commercial markets has led to near-complete self-sufficiency of the population via a subsistence lifestyle, per Wikipedia ( https://en.wikipedia.org/wiki/Vanuatu ). Ironically, though school attendance is entirely voluntary, about 3/4 of the population is literate. The Happy Planet Index ( http://happyplanetindex.org/ ) names Vanuatu as one of the most ecologically efficient countries in the world with a high sense of well-being among the population, who believe that how much one gives away to others is the true mark of wealth. May the people of Vanuatu replant their crops, many of which are in smaller homestead gardens, and quickly get them under cover to protect them from further volcanic ash damage, either in greenhouses with reinforced or steeply-pitched A-frame roofs or beneath fine-mesh netting. May they experiment with offsetting the volcanic acid rain by alkalizing the soil using calcium from locally abundant crushed sea shells. And lastly, may they manage to survive on fish and poultry protein until grasslands and cattle populations can be re-established. A Wikipedia article on Hurricane Maria reports that Puerto Ricans entered that twin storm system with an already fragile electrical grid and an inadequate supply of water, 70% of which was tested as being undrinkable to begin with. While other neighboring islands experienced damage costing in the millions of USD to repair, losses to Puerto Rico were estimated at around 90 billion USD. Rainfall from the storm far exceeded two feet in some locations, leading to waist-high flood waters that completely trapped some towns. Roofs were blown off of numerous buildings, and 80% of the agriculture was wiped out. Coffee crops in particular will require 5-10 years to be restored to a production level of just 15% of prior harvests. A month into the aftermath, only half of the sewage treatment plants were functioning, 60,000 homes still needed roofs, and only 7% of the roads were navigable, forcing emergency supply deliveries by helicopter into isolated communities. Hospitals reopened with spotty generator power. The spotty power meant that people had to wait in long lines at functioning ATM's to withdraw cash. By the end of January, 2018 there were still 450,000 residences and businesses without power, with 200,000 still presently affected. The Wikipedia article on Puerto Rico refers to that island as being a Commonwealth of the United States. There are four states in the U.S. which are also Commonwealths, being PA, VA, KY and MA, that are accorded a different set of rights. Puerto Ricans find themselves in a legal limbo, with their own American-style Republican system of governance, yet legally subject to U.S. military service, American foreign policy directives, trade restrictions, the fate of the U.S. dollar, and some federal taxes, while without the right to vote in U.S. elections. Decades of referenda for autonomy have been circumvented by U.S. Congressional legalese, as documented in the same Wiki article. Furthermore, the article also explains that while only a small percentage of the population is fluent in English, all legal matters are conducted in English, leaving the majority of Puerto Ricans governed at the federal level by rules that must be translated to them. Though Puerto Rico has a mild climate outside of hurricane season, agriculture on the island comprises only a tiny percentage of GDP and mainly focuses upon export items such as sugar, coffee, tobacco and citrus fruits. The majority of the 3.6 million people live in 10 cities on the densely populated land, with only 6% being rural. Predictions exist that seismic activity and hurricanes will destroy Puerto Rico in the time surrounding the Pole Shift. Fortunately vulcanism, which affects numerous other locations in the Caribbean, does not affect that island. Ahead of the Pole Shift, may Puerto Ricans do what 100,000 did ahead of Hurricane Maria to survive: evacuate, and may they be received with welcome wherever they go. For those who cannot evacuate as super-storms continue to be the new norm, may Providence be on their side. ( http://planetxtownhall.com/index.php/topic,6805.msg104502.html#msg104502 ), and news of the giant fissure opening up there, am adding Kenya to the prayer list. In addition to earth changes in Kenya, the nation faces numerous difficulties. The desert to the northeast is under constant attack by Somalian gangs, while the border with the Indian Ocean to the southeast is the location of child prostitution rings, according to a Wikipedia article on Kenya ( https://en.wikipedia.org/wiki/Kenya ). The most densely populated urban areas lie in the southern half of the nation. In the southwest corner is the huge Lake Victoria, which would best be avoided as a safe location until seismic activity settles down after the Pole Shift. The western border with Uganda might also best be avoided due to pervasive violence and corruption. Urban areas in the southern half of Kenya. 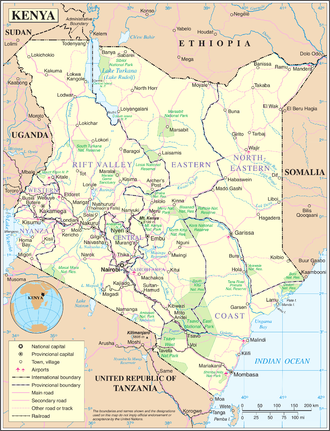 In the northwest is another desert, and the Rift Valley stretches from there to the southernmost border of the country. A series of lakes and volcanoes mark the Rift Valley from the tip of Lake Turkana to the southern end of Kenya. 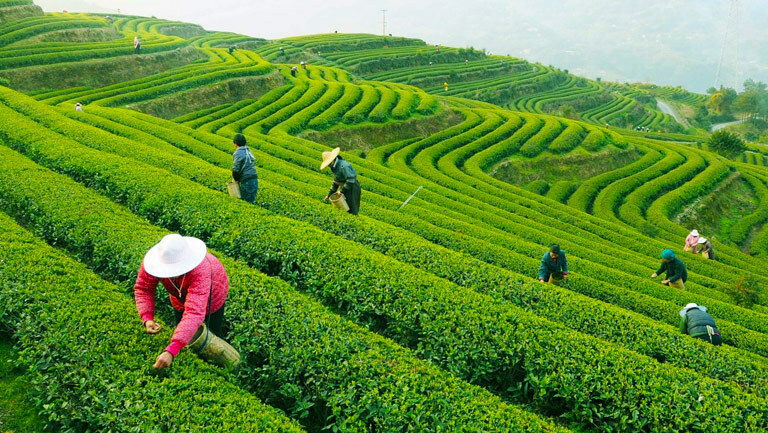 The article further explains that the mountain is considered holy by the four agrarian tribes that farm it in a climate which is warm by day and cold at night. May those remaining in Kenya during the time leading up to the Pole Shift, either of necessity or by choice, journey to the mountain and take shelter there among the people who claim that it is the habitation of God. Posting an update to the Vanuatu prayer post, documenting that the island of Ambae is now being "permanently" evacuated.